Rediff.com » Movies » Oscars 2018: Who's going to win. And who's not. Sukanya Verma's predictions for the top Oscars at the 90th Academy Awards. You know it's Oscar season when pundits and predictions fill news space to speculate who will bag the golden dude. It was a good year for films, if not the film industry. While the latter remained beleaguered by disturbing revelations of sexual harassment at work kick-starting an active #MeToo movement, exciting works of art from auteurs and aspirants dazzled the screen with their ingenuity. The 90th Academy Awards brims with promise and political correctness. 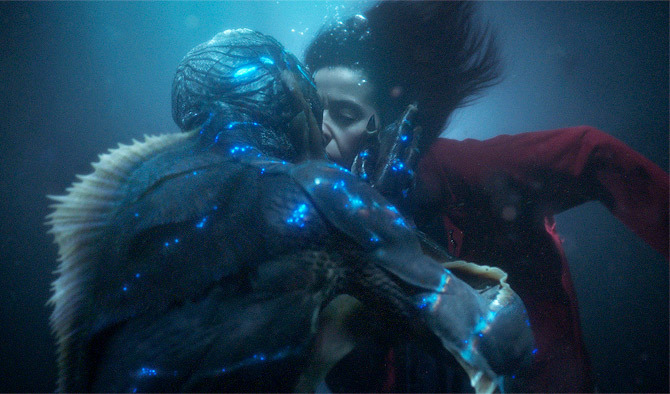 Guillermo Del Toro's creature romance, The Shape of Water, leads the pack with a whopping 13 nominations. Celebrated director Christopher Nolan, finally, earned his first Academy nomination for the war drama, Dunkirk. Director Paul Thomas Anderson bounces back as an Oscar hopeful with his award-worthy vision in Phantom Thread. Lady Bird's Greta Gerwig is the fifth woman to be nominated in the otherwise male-dominated Best Director category. Like Gerwig, Jordan Peele is also a first-time director and nominated for his low-budget horror satire, Get Out, hailed for its meaningful commentary on racial duplicity. As we look forward for the envelopes to unfold and (correctly) reveal the winners of the most sought after prize in showbiz on March 5, here are some of our Oscar predictions in the top-most categories. 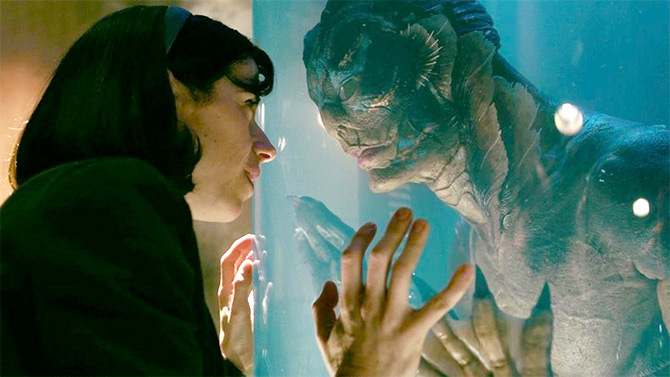 IMAGE: A scene from The Shape Of Water. 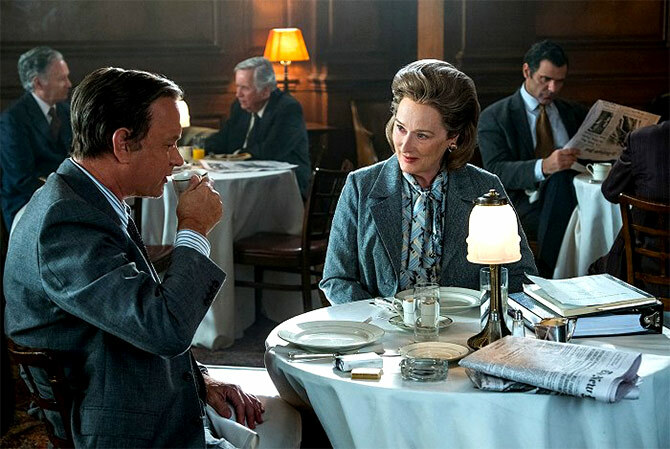 IMAGE: Tom Hanks and Meryl Streep in The Post. From Sundance indie to Oscar front-runner, Get Out's campaign has gathered furious momentum. It will be satisfying to see if this chilling gem garners top prize. Despite the tough competition, The Shape of Water's chances are far from slim. Del Toro's Best Director is as good as locked in. It's only fair he gets Best Film as well. Steven Spielberg's well made but low profile The Post is little more than a filler in this overcrowded category. IMAGE: Guillermo del Toro directed The Shape Of Water. IMAGE: Paul Thomas Anderson has been nominated for Phantom Thread. Del Toro doesn't go wrong with monsters. His moving celebration of society outcastes in The Shape of Water is one for the ages. Christopher Nolan's unique exploration of war depicts claustrophobia and redefines heroes in a premise long dominated by gallantry. Paul Thomas Anderson's Phantom Thread and its deliciously dark games may strike the Academy as a bit too quirky in comparison. IMAGE: Gary Oldman in Darkest Hour. 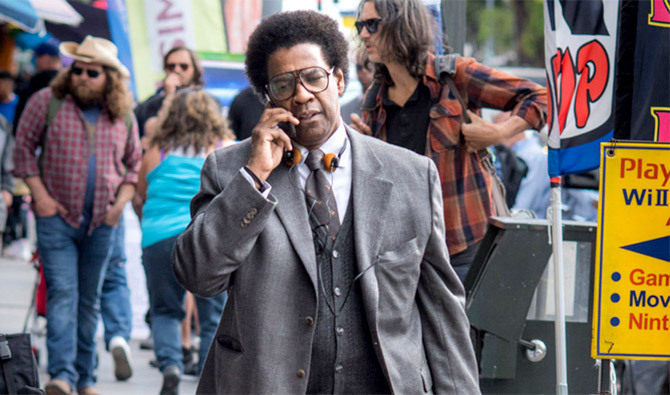 IMAGE: Denzel Washington in Roman J Israel, Esq. 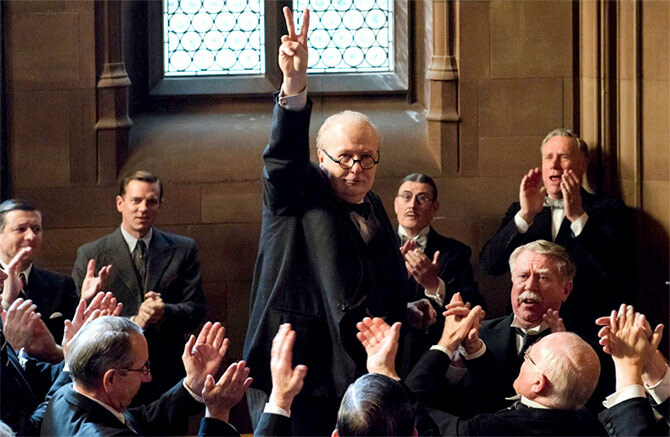 Gary Oldman's recreation of Winston Churchill is mighty impressive. But more importantly, prosthetics never fail. Ask past winners Nicole Kidman, Charlize Theron, Meryl Streep. While we wouldn't dare doubt Denzel Washington's talent, there's just not enough traction to his nomination this year. Daniel Kaluuya has a better shot after his breakthrough performance in Get Out. IMAGE: Frances McDormand in Three Billboards Outside Ebbing, Missouri. 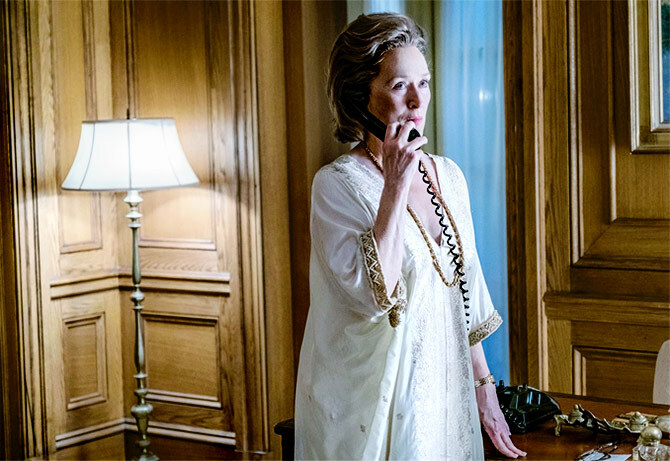 IMAGE: Meryl Streep in The Post. After 21 nominations and three wins, Meryl Streep could not be more decorated. Instead, let's focus on the incredible Sally Hawkins and her ability to speak through silence in ways that render words redundant. 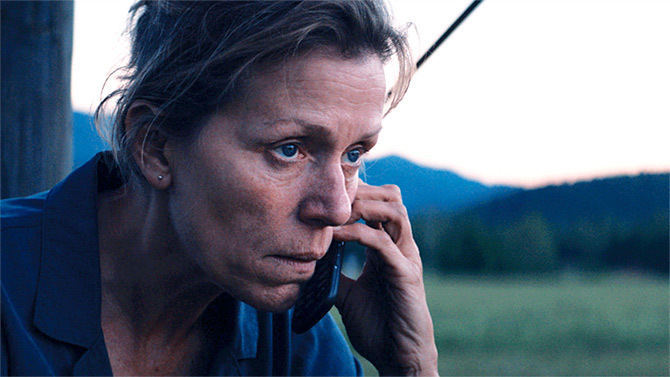 But then storms in Frances McDormand and says things you've been waiting to hear and cheer for all along in her undaunted pursuit for justice. IMAGE: Sam Rockwell in Three Billboards Outside Ebbing, Missouri. IMAGE: Woody Harrelson in Three Billboards Outside Ebbing, Missouri. Not only does Sam Rockwell make a devilish, dimwit, cop turning a new leaf look more credible than it could ever be on paper, but so darn captivating too. Woody Harrselson's benign charms are pretty good, but his fellow nominees have an edge. Especially Willem Dafoe who infuses a heartbreaking story with unforgettable moments of poignancy. 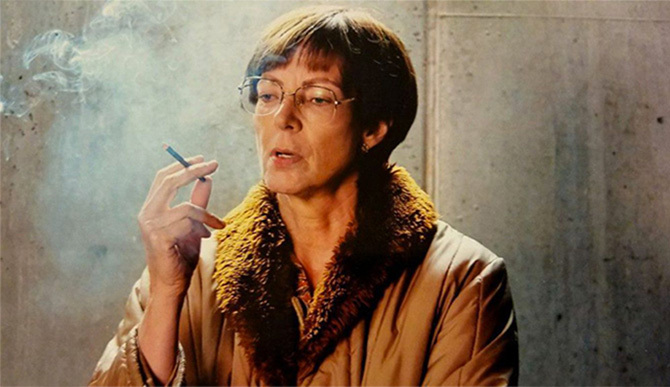 IMAGE: Allison Janney in I, Tonya. IMAGE: Octavia Spencer in The Shape of Water. Nobody does no-nonsense as insistently as Allison Janney. There's little doubt about her Oscar-winning potential. 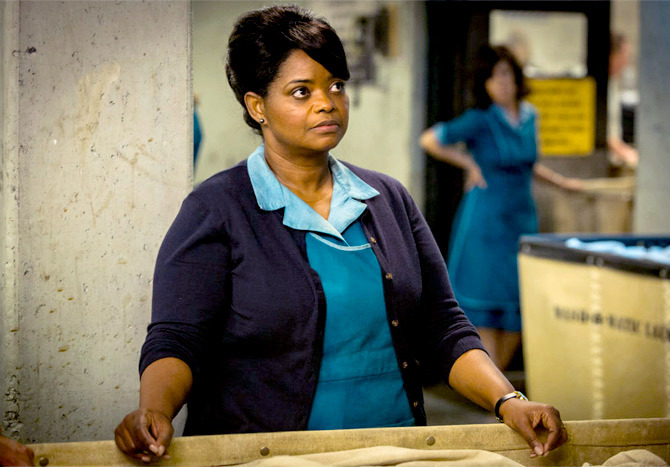 Meanwhile, Octavia Spencer's sassy act is terrific, but nothing we've not seen her do before. Metcalf's unfeeling mom could easily have ended up as cardboard, but she lends her just enough humanity to ensure what we see is a perspective and not precise.